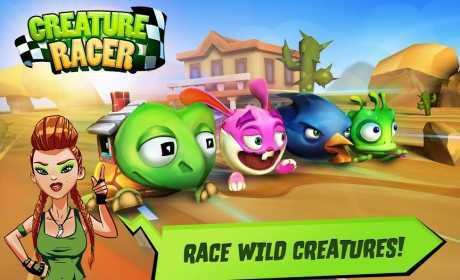 Welcome to the wild world of creature racers! 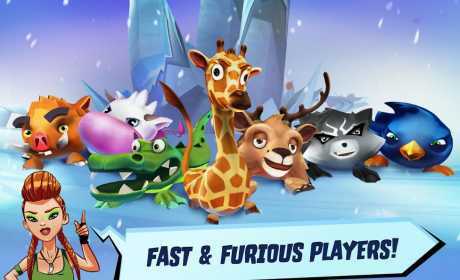 Get fast and furious as you fling ferocious 3D creatures down dangerous racetracks at reckless speeds! Avoid unexpected obstacles, encounter hazardous roadblocks and use your special powers to race to the finish line! You can even beat other creatures and show them who’s boss! Ready, creature racers? Let’s go! RACE AS A CREATURE! Collect over 20 outrageous creatures and let the games begin! You can even see your creature in special “slo-mo” mode! RULE THE TRACKS! Test your skills on thrilling tracks, stunt road and more! Each track presents new challenges! DIFFERENT RACE MODES! Challenge other creatures with 4 different race modes – Daily Race, Boss Fight, Tournament and Run for Cash – in 3 different worlds! UPGRADE YOUR CREATURE! Collect golden coins and power gems to upgrade your creature and become the fastest, fiercest racer on the track!